This wildly successful protest took months of planning by a handful of students with no help from their university. In October, after the University of Florida’s president allowed Spencer to speak after citing similar reasons, Spencer appeared on the school’s campus. But when he arrived, it was to a venue packed with jeering protesters. Outside, more than 2,000 others surrounded the performing-arts center, their chants condemning Spencer and his supporters’ views. Spencer left the stage half an hour before his event was scheduled to end, his increasingly shrill demands for silence answered with boos. In fact, UF’s 2,500-person October protest was organized by a handful of students of color in their early 20s, largely from working-class backgrounds. (“There is no generational wealth,” one of the lead organizers told me.) They were the ones who put together the coalition of student and community groups called “No Nazis at UF,” the main vehicle to bring thousands out to the October protest, hundreds of whom packed the Phillips Center during Spencer’s speech. They were the ones who spent money they would have used for groceries and sacrificed hours they would have spent studying to launch a protest that rendered Spencer’s first speaking event since Charlottesville disjointed, disorderly, and clearly out of his control—dealing, as the Southern Poverty Law Center wrote, a “blow” to Spencer’s college-campus strategy that “threw Richard Spencer for a loop, exposing the hollowness of his message and the fragility of his ego.” They did this not only without the help of their university, but often in resistance to UF’s efforts to prevent protest at all. 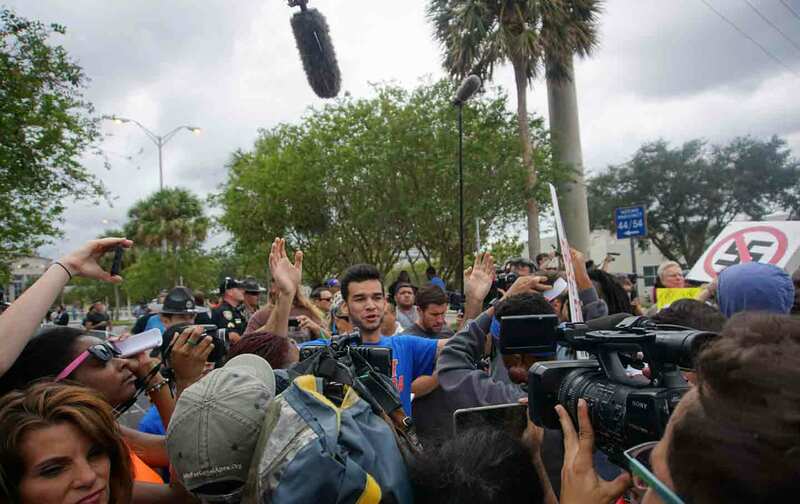 At UF, student protesters had to deal with similar resistance, but they rallied thousands in October to ensure Spencer and his supporters knew they were unwelcome. Their labor was successful, but that doesn’t take away from the difficulty of having to fight twin fronts of white supremacy and university. As Michigan gears up to grapple with the ostensible free-speech issue of allowing Richard Spencer on their campus, it’s worth looking back at how students succeeded, despite all efforts to prevent them. Even before Spencer came to Gainesville, the University of Florida had seen an increase in xenophobic incidents after Trump’s election. A student’s Black History Month decorations were found ripped from her door in February. In the same month, racial slurs and the phrase “This Month Is Racist” were written on a whiteboard in the political-science building. Two different neo-Nazis stood in one of UF’s free-speech zones wearing swastikas. Somebody put up Identity Evropa flyers across campus days after the sign for Walker Hall, which houses both the Jewish Studies and African-American Studies programs, was knocked over. (In September, the sign would be uprooted again.) All these incidents were reported to the university, which responded largely by waving off the incidents as jokes or mistakes. In the case of the slurs, the administration increased police presence around the building. Two women in the African-American Studies program were confronted in their office by a man who demanded they listen to him rant about Virgil Hawkins, the first black law student at the university; the man was banned from campus. In a teach-in the week before Spencer’s speech hosted by No Nazis at UF, one of the speakers—a professor who had been in the African-Americans Studies office during the incident—pointed out that the man’s mental illness had been handled much differently than an incident in 2010, when a Ghanan doctoral student suffering from delusions was shot in the head by campus police in his apartment. When Spencer’s event was confirmed, the University of Florida explicitly advised students to stay away from the Phillips Center and ignore Spencer and his supporters. “By shunning him and his followers we will block his attempt for further visibility,” UF President Kent Fuchs wrote in a statement released after Spencer’s speaking event was announced. He encouraged people to instead participate in the Together UF campaign, a series of activities hosted by “student leaders” that focused on “dialogue, education and the embrace of our shared humanity.” One was a panel on diversity; another was a “virtual assembly” that streamed on a website only accessible with a UF ID number. Though the protest was led by a group of students, that didn’t mean the organizers had support from their peers. They didn’t. The Tuesday evening before the October 19 protest, the leaders of No Nazis at UF and UF College Democrats flooded the student senate chamber with 50 students in tow during a scheduled meeting. Chad Chavira, the 20-year-old UF student who organized the first No Nazis at UF meeting back in August interrupted the senate proceedings to demand the student senators pressure the administration to cancel classes, or at least tell them what they had done so far to advocate for them. The student body president, obeying protocol, refused to answer, as Chad was not a student senator. Eventually a sympathetic student senator repeated Chad’s questions, which the student body president answered without specifics. Getting to the protesters at the front meant shouldering through the kind of crowds I’d only ever seen on UF campus during football games. The mile-long stretch of road blocked off for the protest teemed with roving knots of people: families with young children, grey-haired couples, graduate students and undergrads fresh from high school—many of whom told me this was the biggest protest they’d ever been to—commingled in vast array, diverse as a university brochure. Meanwhile, wearing khakis and white polos, the National Policy Institute men watched the protesters from a distance, behind barriers and a layer of Florida Highway Patrol officers. Each wore the Identity Evropa symbol on their collars, an upside down triangle split into three, ear pieces, and wraparound sunglasses. All, of course, were white. Both the university and the National Policy Institute regulated protesters with security systems; both were enforced by the police. The university had banned from the protest area and inside the Phillips Center 50-odd items including megaphones, water bottles, bandannas, bicycles, or bags of any kind. Two people collapsed from the heat. But even if the police let you through for complying with the university’s banned items list, to get into the Phillips Center you had to also go through the National Policy Institute. A week earlier, Spencer had broken contract with the university and took control of ticket distribution, an unusual arrangement for the Phillips Center. (“It’s their event,” UF spokesperson Janine Sykes told The Miami Herald. “The tickets are theirs to distribute.”) The NPI men checked your driver’s license and asked you to empty your pockets. Many people who passed the initial police check were turned away: women with shaved heads, people with phone numbers on their arms, and anyone with signs. If you didn’t comply, the NPI men called the police over, who threatened to remove you themselves. The second time I made it to the police checkpoint, a man from NPI pointed at me and shook his head at the officers flanking him; the police told me I had to leave. 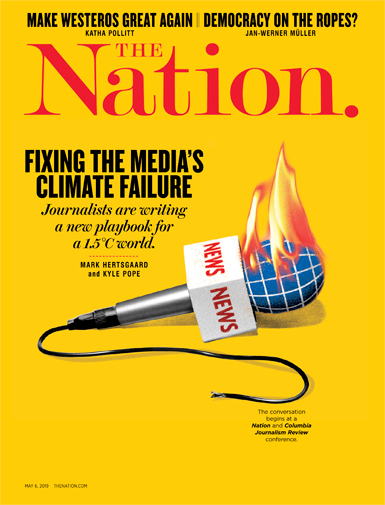 I asked one of the National Policy Institute men to tell me why. “I don’t have to give you a reason,” he said, looking at the ground. “Is there any rationale—or are you just choosing off of feeling?” I asked. “Yes,” he said, looking up at me. “We are.” Two officers forcibly removed me. “It’s their venue,” one said to my objections.